Birm Media is an efficient and economical media for the reduction of dissolved iron and manganese compounds from raw water supplies. It may be used in either gravity fed or pressurized water treatment systems. Birm Media acts as an insoluble catalyst to enhance the reaction between dissolved oxygen (D.O.) and the iron compounds. The physical characteristics of Birm provide an excellent filter media which is easily cleaned by backwashing to remove the precipitant. 1. Birm is not consumed in the iron removal operation and therefore offers a tremendous economic advantage over many other iron removal methods. 2 It has .long material life with relatively low attrition loss, a wide temperature performance range and extremely high removal efficiency. 3. Negligible labor costs are involved because Birm does not require chemicals for regeneration, only periodic backwashing is required. 1. 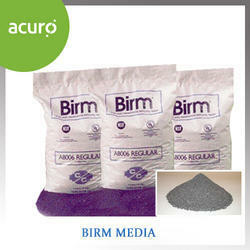 Birm is used for removing dissolved iron and manganese compounds from raw water supplies. 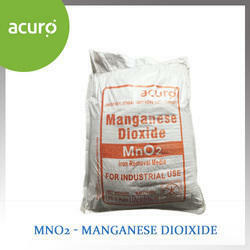 MnO2 - Manganese Dioxide is capable of reducing iron, manganese and hydrogen sulfide from water through oxidation and filtration. 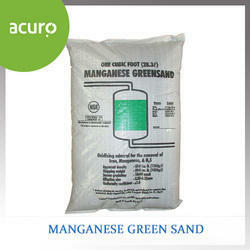 Manganese Dioxide is formulated from a glauconite greensand which is capable of reducing iron, manganese and hydrogen sulfide from water through oxidation and filtration. When the oxidizing capacity power of the Manganese dioxide bed is exhausted, the bed has to be regenerated with a weak potassium permanganate (KMnO4) solution. 2. Also from water intended for bottling, brewing or soft drink manufacturing . arsenic and radium from well water supplies.Like its sister product MnO2, the substrate media has a manganese dioxide coated surface that acts as a catalyst in the oxidation- reduction reaction of iron and manganese. 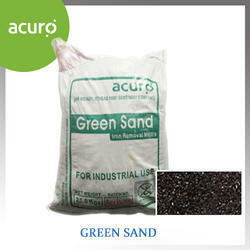 Greensand has a silica sand core and the coating is fused to it while MnO2 has a glauconite core and the coating is ionically bound to it. 2. Requires no changes in backwash rate or times or chemical feeds. 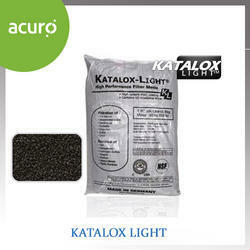 Katalox Light is a remarkable new iron removal media from Germany. It combines the versatility and high performance characteristics of Filox media with the light weight properties of Birm , resulting in a economical treatment option for high levels of iron, manganese, and hydrogen sulfide that is easy to backwash. This results in substantial water savings making Katalox Light an ideal option for wells with low water yield. Screen Size Range (dry) : -16 +60 B.S.S. Std. Birm media for Iron Removal is an efficient and economical media for the reduction of dissolved iron and manganese compounds from raw water supplies. It may be used in either gravity fed or pressurized water treatment systems. Birm acts as an insoluble catalyst to enhance the reaction between dissolved oxygen and the iron compounds. 3.Negligible labor cost — only periodic backwashing is required. 4.Durable material with a long life and a wide temperature range. Net Weight 35 to 40 lb / cu.ft. Manganese greensand is a purple-black filter media used for removal soluble iron, manganese and hydrogen sulfide from well water supplies. It also has the capacity of removing radium and arsenic. 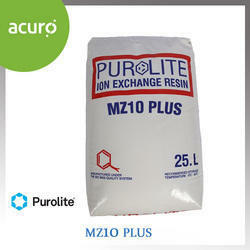 It is processed from the mineral glauconite that is zeolite. Using iron exchange properties of this natural zeolite, a manganese dioxide coating is deposited on the surface of the glauconite grains. The manganese dioxide acts as a catalyst in the oxidation reduction reaction of iron and manganese. The media can be used in two methods of operations: continuous regeneration (CR) and intermittent regeneration (IR). 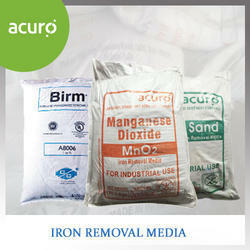 Looking for Iron Removal Media ?